On Sunday night, I finally figured out what I wanted to do for this year's advent calendar at school. Why does inspiration have to come at 10pm on a Sunday night?!?! This year's countdown calendar is a hybrid. 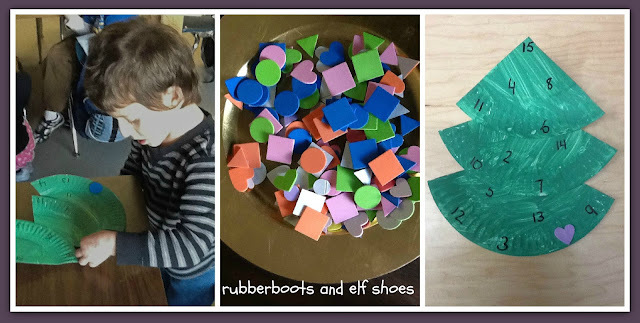 My friend Barbara from Grade ONEderful posted a variety of advent calendars after my mini rant about not being able to glue one more cotton ball onto Santa's beard. These cute trees caught my eye. I don't have enough shelf space or even an empty windowsill to store 20 of these for the month of December. So, while I loved the idea of a tree, these would not work. 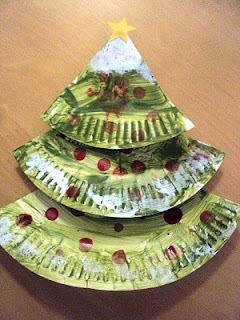 I also loved this paper plate Christmas tree that I saw on Pinterest. I could hybridize these Christmas trees. Glue together to make a tree. Add numbers. I put 1- 15; we have 15 school days in December. 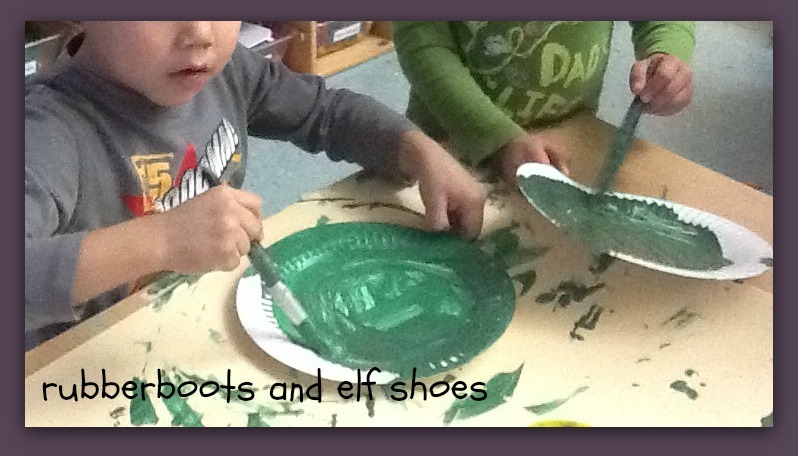 Each day add one sticky shape. 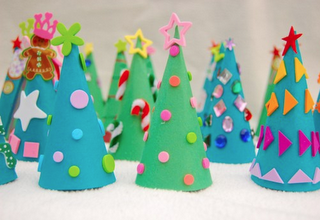 The kidlets will take home a beautifully decorated tree on the last day of school before the holidays. No cotton balls. No loops. Minimal prep. The kidlets like it. I am a happy teacher. Love those trees! We did the stand up ones and I hated them. 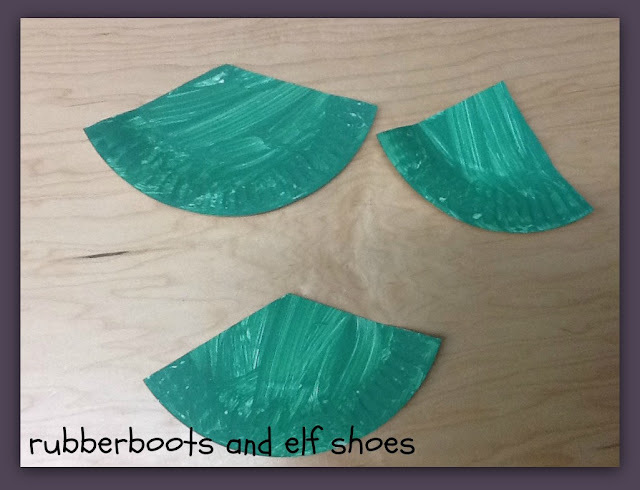 They kept flattening as the kids put on stickers. So yesterday we made new ones. Haha. I'm sure the kids think I'm nuts! It's a teacher's prerogative to change her mind, isn't it?!!? 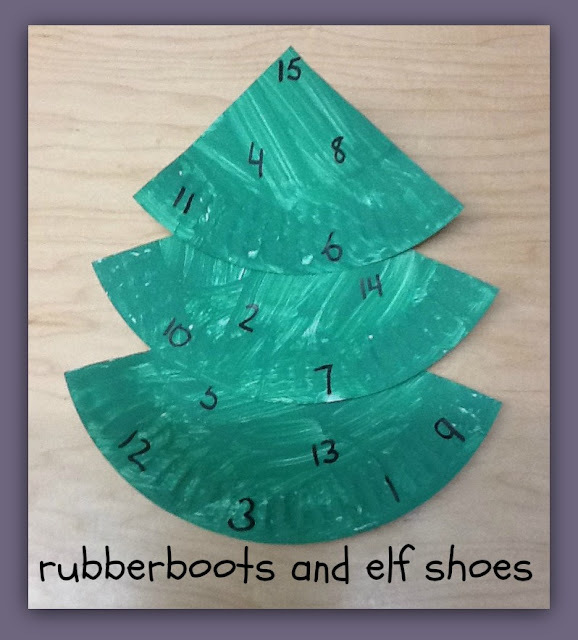 We made advent trees with a template, but I like the paper plate pieces better! The paper plate seems to work. It's a good weight for decorating with bits and pieces.